Squirrels are cast as a disruptive, invasive species that serves no purpose. But they are remarkably misunderstood. I’ve learned that squirrels are crafty creatures we can learn a thing or two from. Being in the city, I see squirrels all the time. Perhaps a moment of serendipity, I focused on this one squirrel the other day on my way to the gym. The squirrel looked at me, deduced that I wasn’t a threat, and slowly moved out of my way. Because I try to think in complexities – I wanted to know more about the intellectual capabilities of a squirrel (if there were any). To my surprise, I found squirrels to be quite calculating and intelligent. Squirrels are far from mindless, and instead, are often playing mind games themselves. I found several unique traits that we as humans should be emulating. Squirrels are both adaptive and resilient because they are under constant threat; from humans, other creatures, and the changing environment around them. They seek and store massive amounts of food because of a scarcity mindset; an unrelenting feeling of having too little food. Their brains have internalized these needs over hundreds of years. As a result, the squirrel thrives in a variety of environments, due to skillful and calculated behavior. In a 2009 study, researchers set out to decide if squirrels could learn from observation; creating a test that would gauge intelligence levels and decision-making skills. “The research team tested the squirrels’ ability to learn to choose between two pots of food after watching another squirrel remove a nut from one of the pots. One group was rewarded for choosing the same pot as the previous squirrel, the second group was rewarded for targeting the other pot. Because finding food is crucial for their survival – the squirrels recognized the other squirrels as a menace to their food supply and quickly adapted their behavior and methods. This is common for most species (including humans), as we prioritize what is important to our survival. For squirrels, gathering and storing nuts are of vital importance. In America (or most western countries), we seldom need to draw upon our survival skills. Even the poorest American are privileged compared to those in other parts of the world. In 2012, 896 million people lived on less than $1.90 A DAY. Because we live a relatively comfortable life, few of us has an overwhelming desire to improve because our circumstances do not force change. We are stuck in a cycle of complacency – wake, work, sleep, repeat; seldom having the mental energy or motivation to stimulate our minds. As time passes, we become rigid in our thinking and our critical and creative reasoning declines due to this infrequent use. Our brains are much more resilient and adaptable than most of us realize however. Brain plasticity refers to our brain’s ability to change and quickly react to new environments and stimuli, no matter our age. We have the unbelievable power to learn and memorize new skills throughout most of our lifetime. How many of you are challenging yourself every day? Are you engaging in creative or constructive thought? What skills or hobbies you wish to improve? These are the questions we need to always be asking ourselves. To survive, the squirrel knows it needs to understand how to find food in the most efficient way possible. They need to know how their rivals (other squirrels) think and react. Through observation of their peers, squirrels can change their behavior to get more effective in gathering nuts. We don’t have a real sense of urgency because we can’t relate to struggle. Rather, we must use deadlines to keep ourselves centered and disciplined in our pursuits of greatness. We need to occasionally feel frantic as a way to take stock of where we are in life – is it good enough for you? By always pushing boundaries – we drive our brains to think bigger and better. Our brains have the ability to discover and grow until the day we die. Let’s not squander that with inactivity. Because they are small and exceedingly vulnerable, squirrels have mastered visual cues. This is why squirrels often seem frantic, snapping their heads around as they chew. 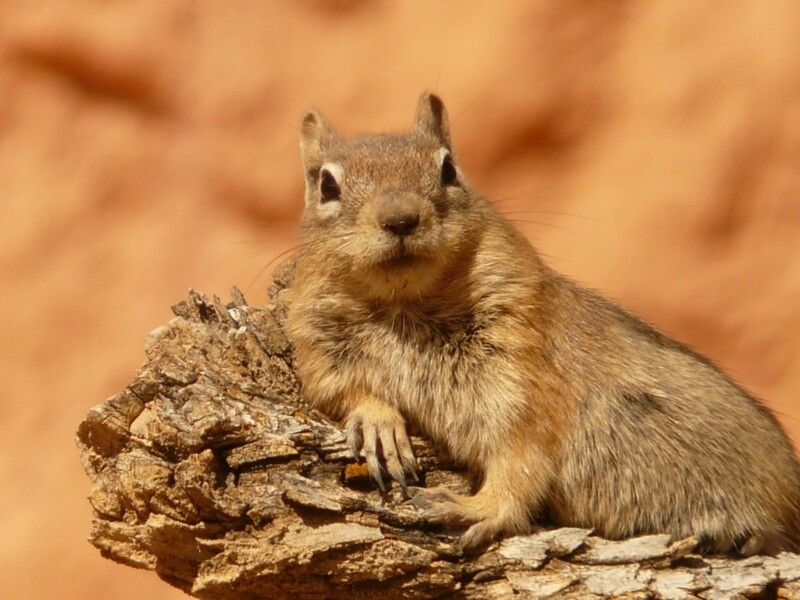 Squirrels have long studied human behavior, creating a general baseline of how we behave. Because of this, squirrels can sense danger almost instantly. Bill Bateman is an ecologist at Curtin University in Perth, Australia. Every time he visited family in New York City, he was fascinated at how squirrels prospered in an urban environment. He conducted a few experiments and found that squirrels have indeed internalized human behavior. Squirrels can tell if we are looking at them and react accordingly. If he walked by squirrels in a normal fashion, they did not respond. If he walked towards them while staring into their eyes, they scurried away. The squirrel is the only rodent known to show this behavior – a testament to the squirrel’s intelligence. This trait closely relates to the next one which is…. If you observe a squirrel bury a nut, chances are he tricked you. Squirrels bury their food in multiple locations, digging shallow holes to store nuts and other foods. This allocation method ensures leftover food if certain food stores become compromised. Squirrels who knew they were being watched pretended to bury nuts in according to this 2008 study. In two separate locations, they spent 13% and 22% of their time doing this. When the researchers stole nuts from their food stores, the squirrels engaged in even more frequent deceptiveness. The first way involves the art of deception. 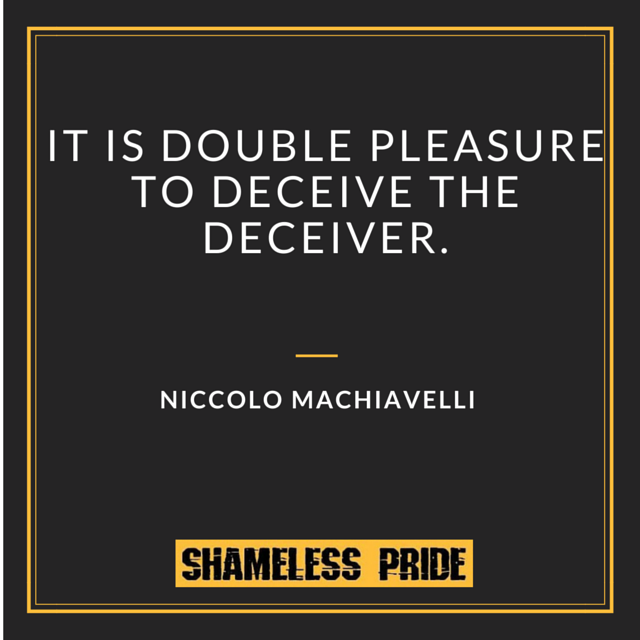 If you’ve ever read 48 Laws of Power, a must for every man’s collection, you understand that deception plays an important role in our lives. We need to be mindful of our social environment to flourish. Like the squirrel, we need to master our surroundings, deceiving those around us from time to time to advance our own interests. By understanding those around us, specifically their quirks and personalities, we can feign ignorance or acceptance, playing into the hands of others. Mastering manipulation and deception in key situations is a must. This doesn’t have to be malicious, but our own self-interests need to be prioritized. Understand that everyone is concerned with improving their own path in life, and that it is our duty to leverage those around us to improve our own. We cannot rely on others to meet our inner vacuum. Likewise, many people look towards other people to find fulfillment, both monetarily and emotionally – think spouse, employer, family, etc. Like the squirrel, you need to concentrate on mastering deception, and you will increase your odds of success. The second way involves diversification. Like the squirrel with his nuts, your income and your wealth pool should be sufficiently diversified. At least 2-3 income streams. Diversification of assets to mitigate excess risk. Consult a financial adviser if you need help with this, or read Financial Samurai’s blog (this and this will teach you a lot). Despite our overwhelming need to know everything, we don’t know our long-term futures. We can plan, but unforeseen events will take place. We must be financially disciplined. Ike the squirrel hiding nuts in various locations, it’s up to you to make sure you never go hungry. I had low expectations when I researched the mental make-up of squirrels. Rather, I found striking parallels to our own behaviors and beliefs. 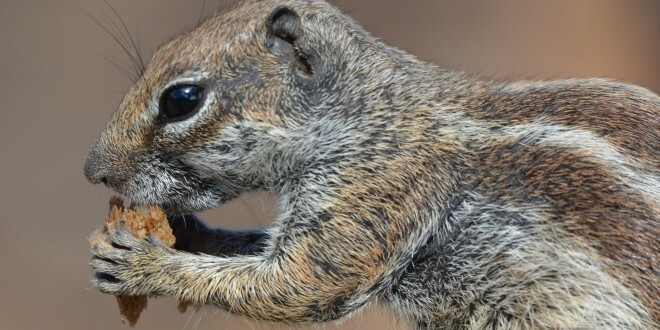 Squirrels have a flexible mind – they can easily adapt their thinking, especially when their food source is threatened. 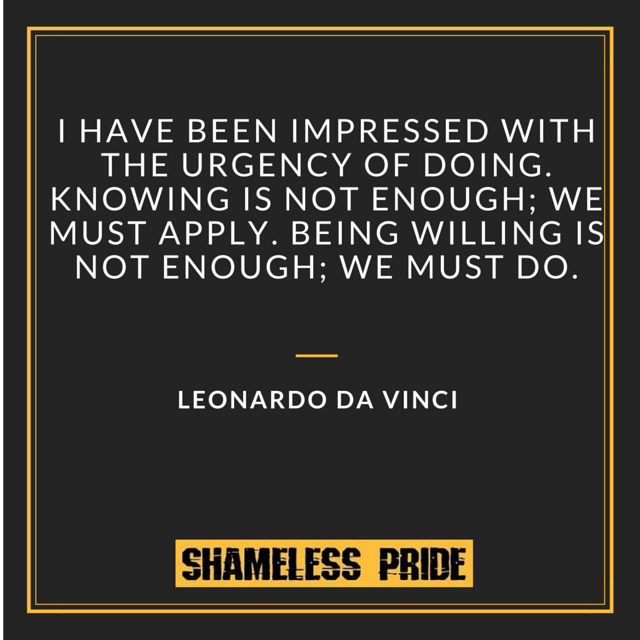 We likewise need to have this sense of urgency with learning and expanded our minds. Squirrels are also masters of observation and deception – if being observed, they will pretend to bury their nuts. They also store their food in various locations, as to avoid the uncertainty that comes with the future. Like squirrels, we need to use deception and observation in our lives to advance our interests in a shallow and me-first world. In addition, we must be financially diversified – including both income streams and proper asset allocation. Unleash the squirrel in you. 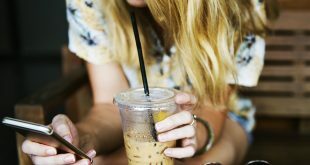 What did you think of the article? Any observations to add? Let me know below!